The team's record storage time of six hours is a major step towards a secure worldwide data encryption network based on quantum information, which could be used for banking transactions and personal emails. "We believe it will soon be possible to distribute quantum information between any two points on the globe," said lead author Manjin Zhong, from the Research School of Physics and Engineering (RSPE). "Quantum states are very fragile and normally collapse in milliseconds. Our long storage times have the potential to revolutionise the transmission of quantum information." 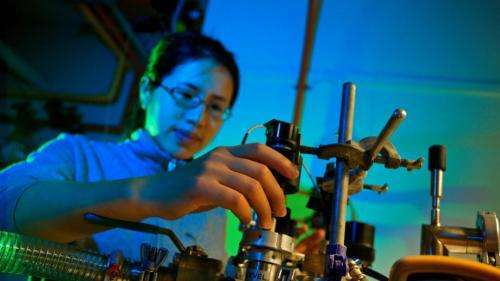 "Our storage times are now so long that it means people need to rethink what is the best way to distribute quantum data," Ms Zhong said. "Even transporting our crystals at pedestrian speeds we have less loss than laser systems for a given distance." 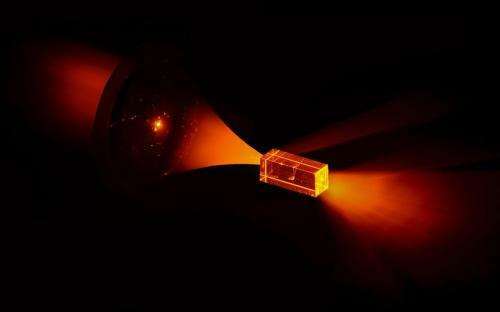 "We can now imagine storing entangled light in separate crystals and then transporting them to different parts of the network thousands of kilometres apart. So, we are thinking of our crystals as portable optical hard drives for quantum entanglement." After writing a quantum state onto the nuclear spin of the europium using laser light, the team subjected the crystal to a combination of a fixed and oscillating magnetic fields to preserve the fragile quantum information. The ANU group is also excited about the fundamental tests of quantum mechanics that a quantum optical hard drive will enable. "We have never before had the possibility to explore quantum entanglement over such long distances," said Associate Professor Matthew Sellars, leader of the research team. "We should always be looking to test whether our theories match up with reality. Maybe in this new regime our theory of quantum mechanics breaks." Forgive my lack of background knowledge or possibly overlooking it, but what group is this ANU acronym? I didn't see it mentioned anywhere at all in the article. The inventor and patents holder of this technology and many other technologies gives free usage of all his inventions technology to all parties. He will be posting 20 other technologies free to the world.